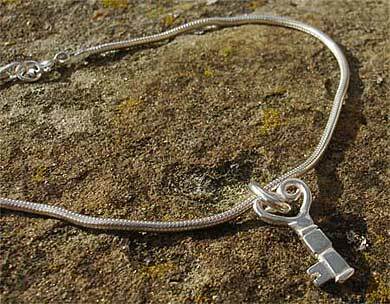 Women's Silver Heart Necklace : LOVE2HAVE in the UK! A women's silver heart necklace. Why not let the one you love know how much they mean to you by buying them some heart shaped silver jewellery that has been made here in the UK. 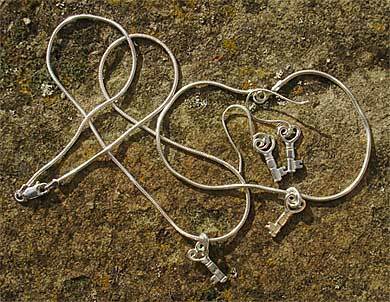 Our heart pieces are all beautiful and affordable for everyone to be able to buy and make an excellent idea for a heart-shaped silver jewellery set. 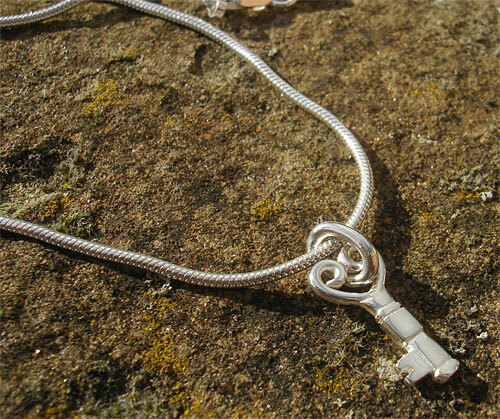 A beautiful polished sterling silver necklace in the shape of a key with a heart shape. The key measures approximately 15mm in height and feature's some subtle detailing. The silver snake chain measures about 16 inches and a matching bracelet and earrings also available.